Middle distance race. Mixed complex woodland. Grid Ref SD400854 Postcode LA11 6NZ. Parking on a grassy field with separate entry and exit points. Competitors much approach via the A590; the event will be signed from High Newton. The track leading to the parking field is narrow and a one-way system will operate; competitors will not be able to leave the event before 12.30. Adjacent to parking, toilets, traders and EOD registration. All starts are near to each other. 1:7,500 for all courses based on a Stirling Surveys PG plot and Surveyed by Martin Bagness 2014. 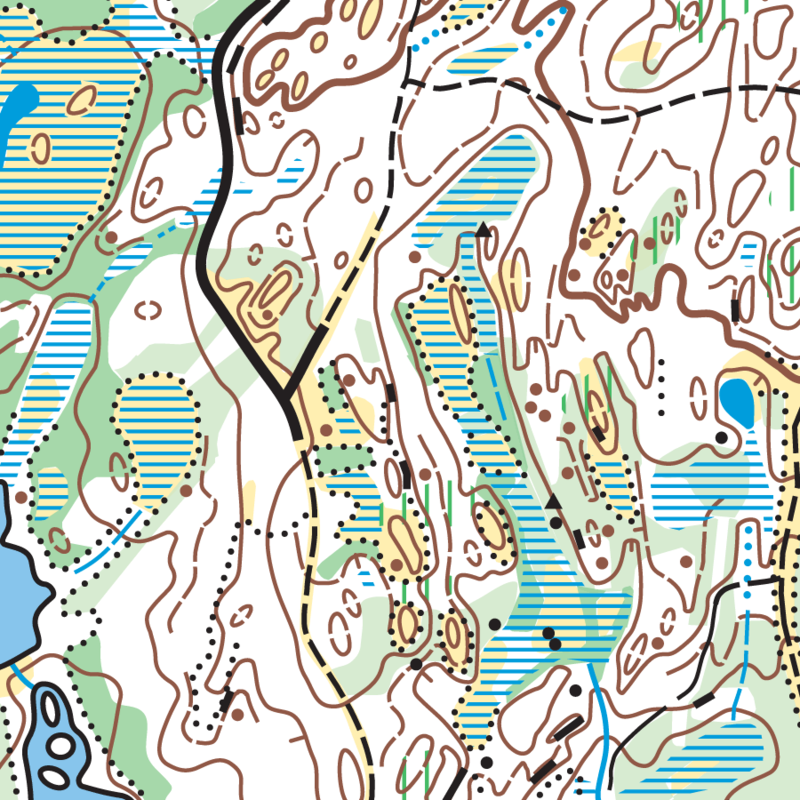 Forestry Commission plantation with a lot of complex contour detail. There is a small reservoir close to the start/finish area, two small tarns and some large marshes which are deep in places. Although there is some windblow most of the area is fairly runnable. Some of the marshes are very deep and care should be taken when crossing them. The areas mapped as open water should not be crossed. In much of the forest there is significant risk of injury from short branches at head height and lower. Competitors may wish to consider wearing eye protection and arm cover. Course 15: Competitors on course 15 will find it useful to carry a compass and know how to use it to make short cuts through the terrain between 2 line features.